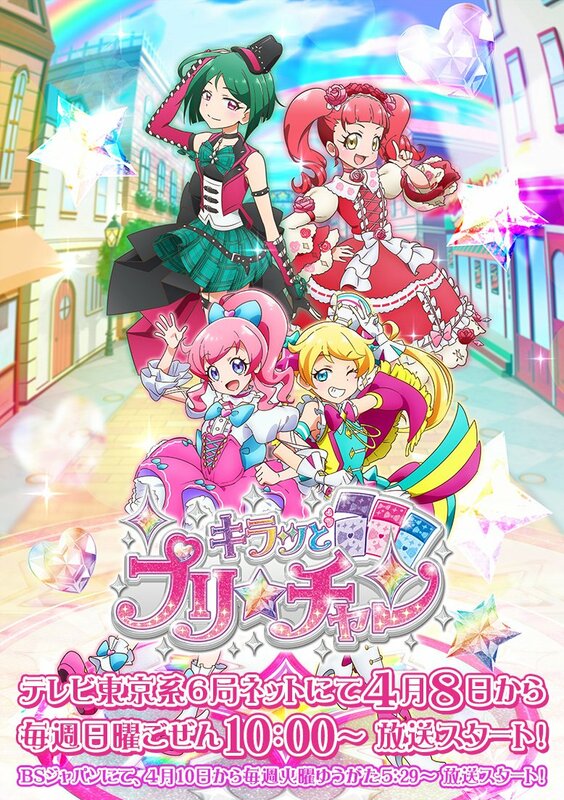 Succeeding PriPara, Prichan is the new arcade game&anime of SynSophia, TakaraTomy and Tatsunoko. Prichan was initially teased during the PriPara Winter Live 2017 event on December 11 2017, along with another project titled Pretty All Friends. Prichan’s anime starts airing on April 10 2018, and the arcade game is scheduled to launch in April. Unlike the Pretty Rhythm to PriPara transition in July 2014, which required Pretty Rhythm arcade machines all over Japan to be replaced with PriPara ones, Prichan uses the same arcade machines as PriPara, with an additional machine and a software update. The concept of Prichan is idols who stream themselves on a Youtube like platform. Episodes 3-4 + interview of Run Girls, Run!